In our newest Dev Talk, Game Director Robin Henkys discusses some of the changes coming with the Nimue update and beyond. The next major content update for Albion Online, Nimue, is coming soon. In this Dev Talk, Robin Henkys discusses some of the major changes and new features this update will bring. Don't have time to watch the video? Read on for a written summary of his talk. For more context you can also read the full details of the current Albion Online Development Roadmap in this forum post. So what can you expect next? Crystal Realm Battles provide a daily opportunity to enter the magical Crystal plane and fight other guilds attempting to do the same thing in a GvG-style battle. Of all the features in Nimue, we’re most excited about this one, as it will significantly increase the number of GvG battles to well over a hundred battles every day, opening lots of opportunities for new GvG teams to make a name for themselves. The second is the Party Finder, which is a lobby-style system that allows players to publicly post and join activities. This should make finding parties for all activities in Albion significantly easier, as well as serve as a tool for organizing activities within guilds. Both these features as well as the other changes coming with Nimue will be the subject of upcoming dev talk videos. Finally, of course, you can also expect Adventurer’s Challenges to continue - and we’re already thinking about what rewards and changes there will be for GvG Season 5! We’re already deep in development for some larger features beyond Nimue, the biggest of which are random dungeon entrances. This brand-new feature will be nothing short of a redefinition of open-world PvE in Albion Online. 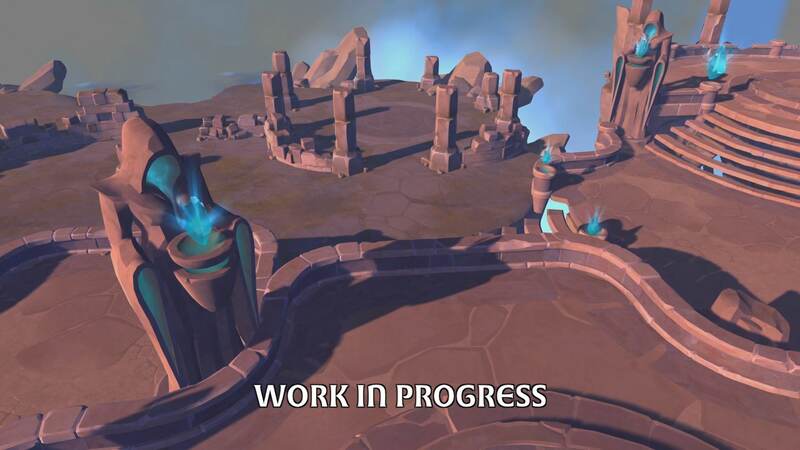 Since this change will have such a big impact on Albion, we’re taking our time to get it just right. That said, we’re making good progress and we’ll keep you posted as development continues. That's all for today - we hope this talk gives you a good idea of what we’ve been working on, what you can expect to see in the Nimue update, and a little preview of what to expect beyond. We'll be bringing you more Dev Talks soon, where we’ll get up close and personal with Crystal Realm Battles, the new Party Finder system, and the many quality of life improvements coming with the Nimue update. Thanks for watching!